IDW Games and Toei Animation announce a series of Dragon Ball Z board games. One of the most beloved Japanese franchises and a pop culture favorite in North America for more than 20 years is coming to the tabletop with a new collection of themed non-collectible board, tile-laying and dice games based on Dragon Ball Z. 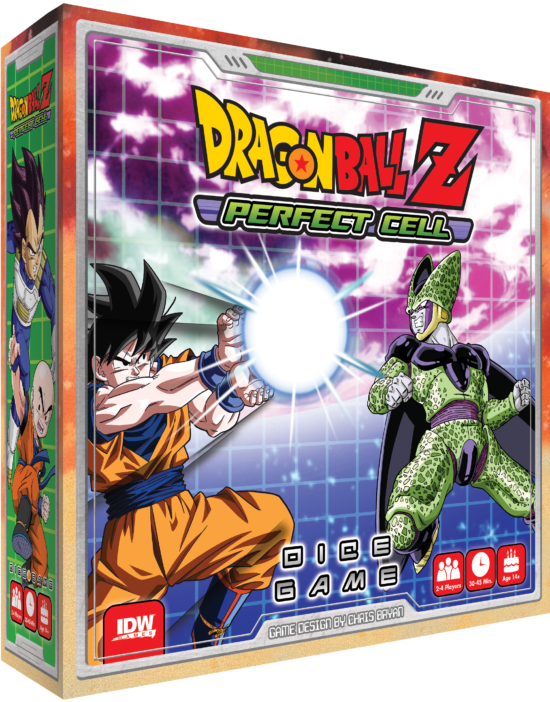 The first game, Dragon Ball Z: Perfect Cell, will be a dice game which places the Z-Fighters against Perfect Cell. Designed by Chris Bryan, best known for his involvement in Moonrat Media’s Board With Life web series, the game Dragon Ball Z: Perfect Cell, where 2 to 4 players will each take control of an iconic Dragon Ball Z fighter and roll their dice to generate energy. 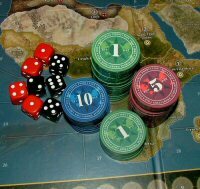 Using custom icons, players allocate their dice into performing attacks, helping other players or buying upgrades. Players need to work together though, as Cell will continue to generate new threats that can heal him, damage all players, or lock players out of potentially game-changing upgrades. The first game in this partnership with Toei Animation, Dragon Ball Z: Perfect Cell will be available March 2018.